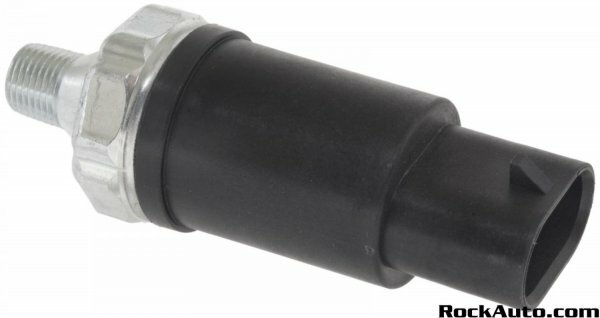 I need to replace the oil pressure sender on my 1990 16 valve TC. It is leaking oil. Does the same sender fit both the 16 V engine and the 8V engine??? I've seen a couple different senders, I think there is 'early' large metal body bell shaped senders, and 'late' senders that are a little more streamlined, have a plastic body and are a little smaller. I'm sure someone will correct me if I'm propagating mis-information... However, they both have the same thread pattern into the oil distribution block(is it1/8" NPT brainy guys? )and can be interchanged as long as electrical is same? ( AIRTEX/WELLS 5G9 ) Not sure if the 16V's are any different but look at the old one and see what you have. It's next to the right of the distributor lower on the block under the freeze plug. There is a round adapter that they both screw into.